Be sure you equally distribute your hairs. You don't want someone using that towel to not have furs everywhere! Ironing is always appreciated. Where is the other sock? Do you have a dog that steals socks? My mum is always saying how socks disappear, but I have the feeling that your mum's sock had a bit of help. 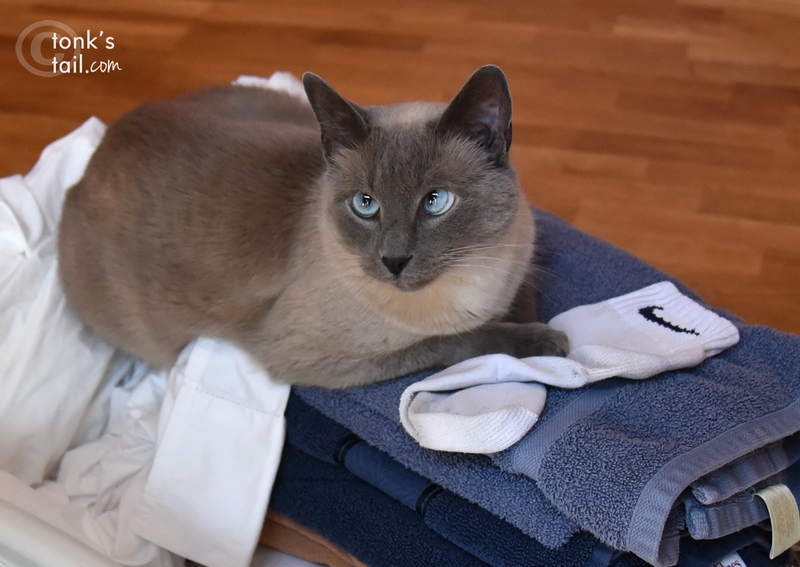 The dryer is always eating my human's socks! It's really odd. The dryer must have been hungry. I love those gorgeous blue eyes. 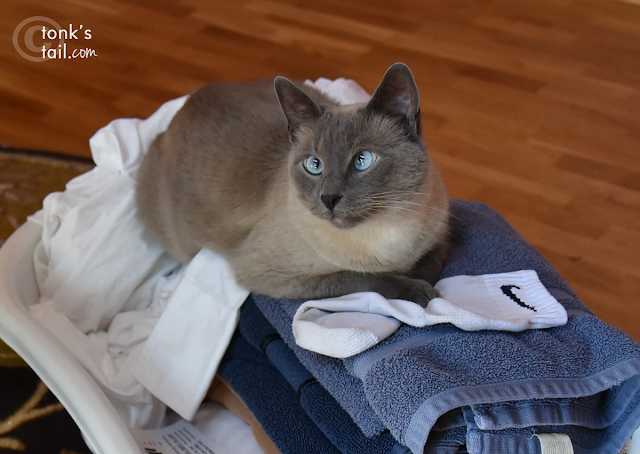 You are a great laundry helper. 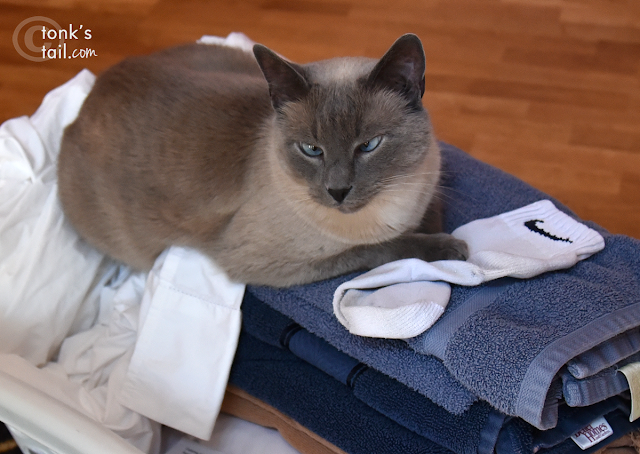 My laundry advisors are not nearly as helpful! Are you keeping the mate to your sock all cozy and warm, Max? That way it should stay nicely warm, just like when it came out of the dryer.